Radioactive groundwater at the Japanese crippled nuclear plant has risen to levels above a barrier built to try and contain it – with risks of spilling over and reaching the ocean, Japanese media report. The Tokyo Electric Power Company (Tepco), which is responsible for decommissioning the wrecked plant, estimated that contaminated groundwater could reach the surface within three weeks, the Asahi newspaper said. One of the biggest challenges facing Tepco is to try and contain the radioactive water that cools the destroyed reactors as it mixes with 400 tonnes of fresh groundwater pouring into the plant every day. The company has been attempting to inject a chemical into the ground to create a barrier to physically contain the groundwater, but the method is only effective 1.8 meters below the surface, whereas data from test wells shows that contaminated water has already risen to one meter below the surface. A Tepco official said at the Friday meeting that equipment to pump out the water would only be in place at the end of August. According to local media reports, Tepco would need to pump out 100 tonnes of water daily to prevent leakage into the ocean. 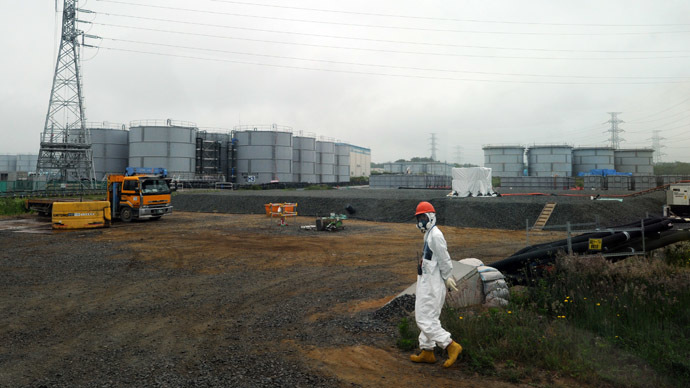 But it is not clear where the contaminated water would be stored as more than 85% of Fukushima’s 380,000 tonne storage capacity is already full. Workers have already built more than 1,000 tanks to store mixed water, which accumulates at the rate of an Olympic sized swimming pool every week. The tanks were built in a hurry from parts of old containers brought to the site from closed down factories and then reassembled together with new parts and the steel bolts holding the tanks together will corrode in a few years. Tepco admits it has no idea how long the tanks will hold and estimates it will need to double capacity over the next three years if it is to contain all the water. After that it has no long term plan. The decommissioning engineers also want to stem the flow of groundwater before it reaches the reactors by channeling it around the plant and into the sea. The plan is to capture the groundwater at the elevated end of the complex and divert it into a system of wells and pipes into the ocean. 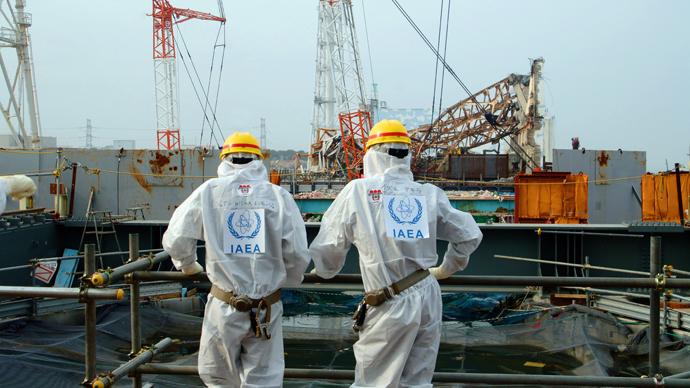 Local fishermen are opposed to the idea and have rejected Tepco’s claims that radiation levels would be negligible. 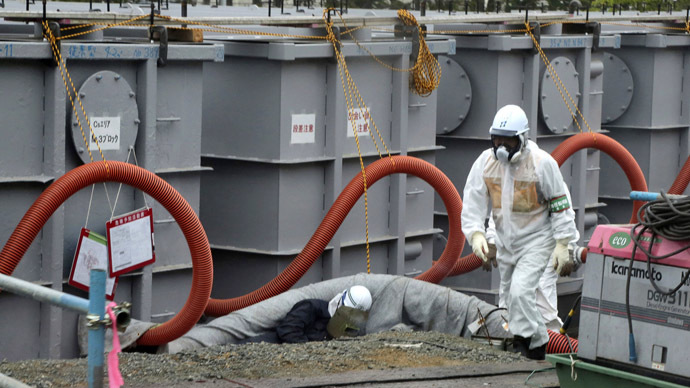 Some of Tepco’s other efforts to stop radioactive water from leaking into the sea include sinking an 800-meter-long steel barrier along the coastline and even freezing the ground with technology used in subway-tunnel construction. Experts from across the nuclear industry are not impressed and in January Tepco found fish contaminated with high levels of radiation inside a port at the plant. As well as the problem of contaminated water Tepco has also not solved why the plant intermittently emits steam, if the repaired cooling system will hold and why groundwater is seeping into the basement. Tepco admitted on Friday that an estimated 20 to 40 trillion Becquerel’s of tritium may have flowed into the Pacific Ocean since May 2011. Tritium has a half-life of twelve years. Tritium is only dangerous when it is inhaled, ingested via food or water or absorbed through the skin. 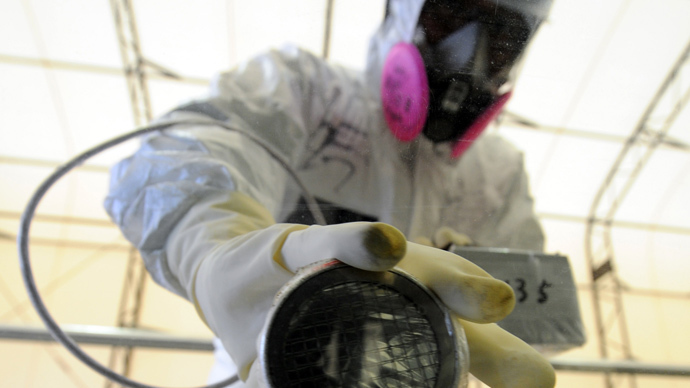 While in March a rat shorted a temporary switchboard and cut power used to cool spent uranium fuel rods for 29 hours. 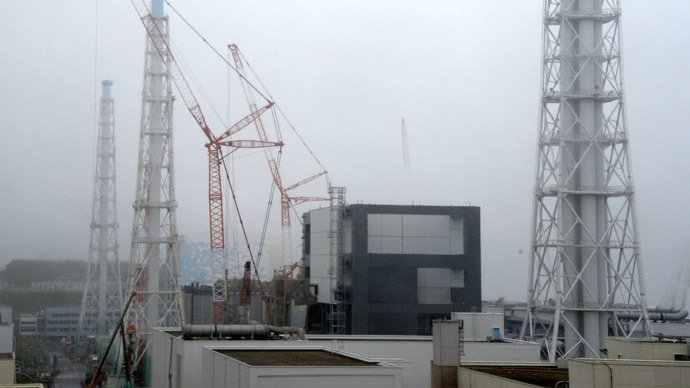 Industry experts and analysts are concerned at Tepco’s inability to get to grips with the problems on the site and whether it can successfully decommission the Fukushima plant. “They let people know about the good things and hide the bad things. This culture of cover-up hasn’t changed since the disaster,” Atusushi Kasai, a former researcher at the Japan Atomic Energy Institute, told Japan Today. Japan’s nuclear energy watchdog expressed alarm at Tepco’s own admission last month that radioactive water was leaking into the ocean as it was in direct contradiction to what they had previously said. 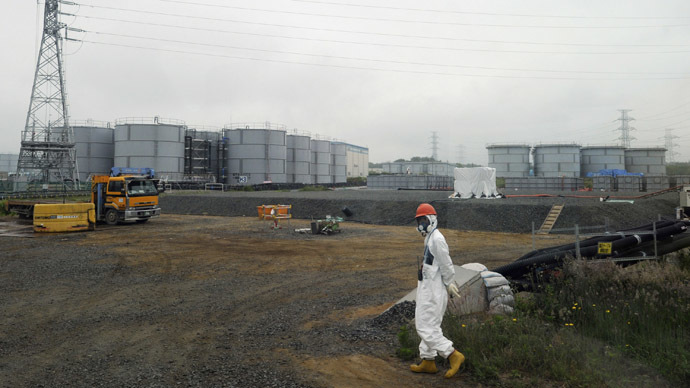 “They had said it wouldn’t reach the ocean, that they didn’t have the data to show that it was going into the ocean,” said Masashi Goto, a former nuclear engineer who has worked at plants run by Tepco. Dale Klein who chairs a third-party panel commissioned by Tepco to oversee the reform of its nuclear division believes they are incompetent rather than deliberately withholding information. “The plant is in a difficult physical configuration. I have some sympathy. It’s not the fact that we’re having surprises – it’s the way they are handling them. That’s where my frustrations are,” he said. Tepco’s handling of the clean-up has further complicated Japan’s attempts to restart its 50 nuclear power plants, almost all of which have been idle since the disaster, forcing the country to import expensive fossil fuels for its energy needs.